The ACE RC G-T5 is a high performance 3-axis gyro, which brings you the most stable and instant flybarless flight experience. 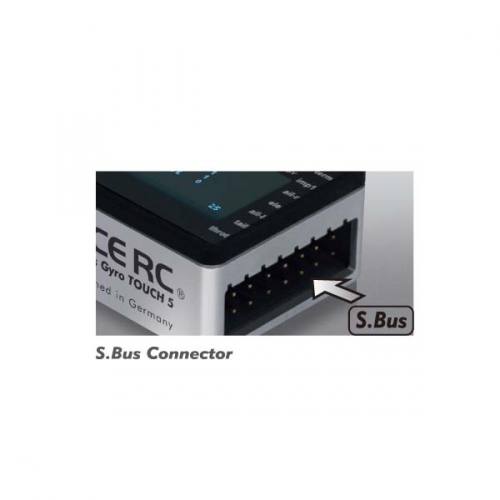 It is equiped with a large sized, OLED display and touch pad, together with an icon based menu which provides you with a user freindly setup. To maximize the compatibility. 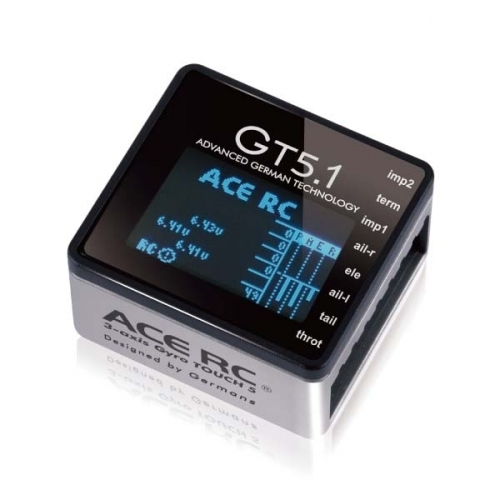 the GT5.1 also accepts many different receivers including conventional PPM, Spektrum Satellite and Futaba S-Bus receivers. The built in MEMS sensor technology helps you control the helicopter precisely and has incredible real time response. High quality alloy case for better heat dissipation.